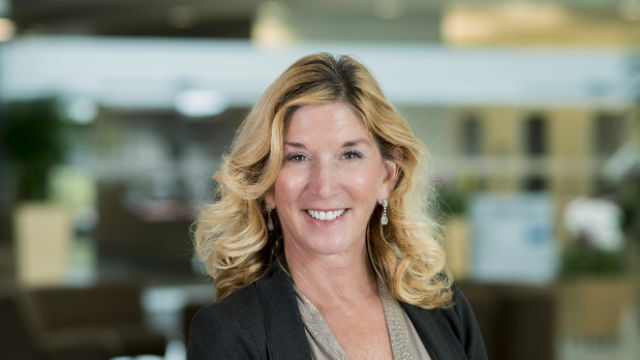 Qualcomm has named Penny Baldwin as senior vice president and chief marketing officer, reporting directly to Steve Mollenkopf, the wireless giant’s chief executive officer. Baldwin brings more than 35 years of marketing and branding expertise, with experience across the full spectrum of marketing disciplines and in leading global marketing and communications teams. Over the course of her career, Baldwin has worked with several Fortune 500 brands, including Microsoft, Intel, Oracle, AMD, NetApp and Hewlett-Packard, and has been recognized with numerous creative and industry awards including Clios, Gold Lions and Emmys. Prior to joining Qualcomm, Baldwin was VP and GM of global brand management at Intel, where she was responsible for developing and managing Intel’s global brand strategy, positioning and reputation. Baldwin was also responsible for partner marketing, New Technology Group and sports marketing globally. Prior to Intel, Baldwin was executive VP and CMO at McAfee. She has also held senior leadership positions at companies including Yahoo!, Young & Rubicam, Arnold Worldwide, McCann-Erickson and Ogilvy & Mather. 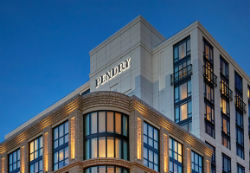 The San Diego office of J Public Relations said it is now representing Provisional Kitchen and Nason’s Beer Hall, two restaurants within the Pendry San Diego Hotel, on the block of 5th and 6th avenues and “J” Street in the Gaslamp Quarter. Provisional Kitchen is a restaurant-marketplace hybrid featuring breakfast, lunch and dinner seasonal fare and gourmet takeaway options, including espresso bar, bistro tables, and a retail space, set within a greenhouse. Nason’s Beer Hall features a selection of 50 local and international beers, vintage bar games and comfort food, including soft pretzel and hamburgers. Its name pays homage to Nason & Co. Farmer’s Market, which occupied the space in the early 1900s. The 317-room hotel has a total of six restaurants and bars. Specializing in travel and hospitality clients, J Public Relations, with offices in California and New York, was founded in 2005. Greenhaus Advertising of San Diego reports it recently won three advertising awards from the Building Industry Association of Southern California and the Greater Sales & Marketing Council for its work with residential community Rancho Mission Viejo in Orange County. Awards included: Best overall advertising campaign that featured residents of the Esencia neighborhood sharing how they enjoy the community; Best online marketing campaign that targeted prospective Esencia buyers; Best brochure for a master-planned community. The brochure was for The Hilltop Club, an amenity for residents. Work for the awards was performed between June 1, 2016 and Aug. 23, 2017. Awards were presented in September at Disney’s Grand Californian Hotel in Anaheim. Founded in 1996, Greenhaus, with 35 employees, has worked for clients in 16 states and Mexico. Clients have included Grand Del Mar, W Hollywood Residences, City of Anaheim, Irvine Ranch, Hard Rock San Diego, San Diego State University, Mammoth Mountain and Puerto Cancun. The firm also has branded museums, performing arts venues, the San Diego Convention Center, San Diego International Airport and The IDEA District in San Diego’s East Village. MarketInk, the Times of San Diego’s weekly media-and-marketing news column, was recently recognized with a writing award by the San Diego Press Club at its 44th annual Excellence in Journalism awards program. Written by Rick Griffin, MarketInk was selected for an award in the “column” category, “online and daily newspapers” division. It was one of four Press Club writing awards earned this year by Griffin, who has penned the Times of San Diego column since October 2015. It was Griffin’s 13th consecutive year to win at least one Press Club writing award. In addition, Griffin was honored as the 2017 recipient of the Press Club’s Andy Mace Award for Career Achievement in Public Relations. Griffin, a San Diego native, is among 33 people in the PR profession in San Diego County who have received the career achievement award since the Press Club’s founding in 1973. The award is presented annually to a PR practitioner who, according to the Press Club, has exemplified fairness and integrity, as well as effectiveness in disseminating the truth to concerned publics over the course of their career. 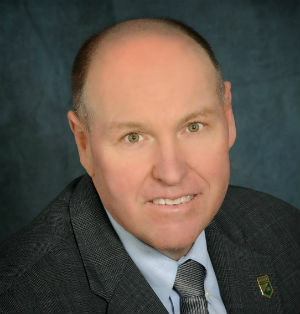 Griffin, a former newspaper reporter who has worked in PR since 1981, operates his own company, Rick Griffin Marketing Communications. He has more than 35 years of experience in journalism, PR, advertising and marketing communications. He worked as an in-house PR manager and supervisor with Fortune 500 corporations, as well as with large advertising agencies overseeing regional and national accounts, before founding his own marketing communications consulting firm as a sole practitioner in 1988. 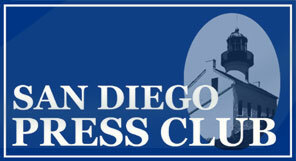 Andy Mace, a PR manager for Pacific Telephone before it became known as Pacific Bell, was one of the San Diego Press Club founders. He later founded his own company, Andy Mace & Associates, with an office at the Mission Valley’s Stardust Hotel & Country Club, now the Handlery Hotel. Mace passed away in September 2009 at age 88.